Preferred method of communication is ...com. 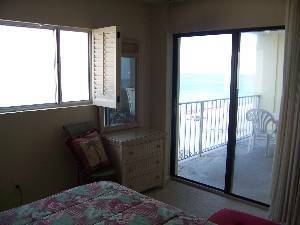 Fantastic view of the ocean, beach, and sunsets! Relax in this spacious 6th floor beachfront condo with master bedrm & lvg rm both accessible to the balcony to view the sugar white beach & emerald ocean.In a kid-friendly resort,this unit is complete with washer/dryer,2 full baths, double closets in each bedroom, fully equipped kitchen with breakfast bar, dining area, & living area. 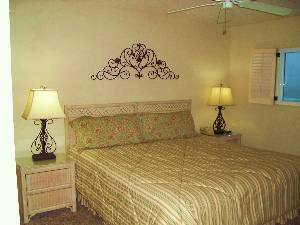 The Regency Towers is a gated resort and welcomes families. 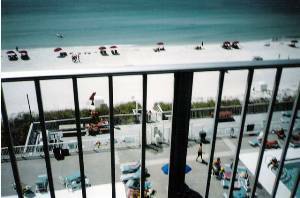 Two full size pools and one large kiddie pool are between you and the beach. The resort has charcoal grills and patio tables outside for your grilling pleasure. 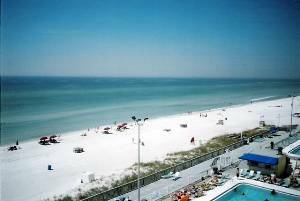 Schooners Beachside restaurant is a 10 minute beachwalk and Alvin's Island is just a short block away.Enjoy the beauty and fun of Florida's best in this kid-friendly resort!Maximun of 6 guests at all times other than Spring break(March), June and July. 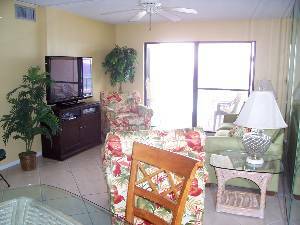 We also own a one bedroom 8th floor beachfront condo at The Summit. It sleeps 6. See it by going to ...com homepage and search by id number 8318at the top right corner of the homepage. Airport is 20 minutes away. St.Andrews State Park is just down the road with fishing opportunities on the jetties.Great shopping in shops in the area as well as Panama City Mall 20 minutes away and Silver Sands Outlet Mall 45 minutes from the Regency Towers.Great restaurants a just a few minutes away-Captain Andersons, Scampy's, Schooners, Ruthie T's to name a few! We stayed here last year and was very impressed. The view on the balcony is breath-taking. The condo is very roomy and has a wonderful feeling of being home. It had everything we needed. We are already talking about going back this year. 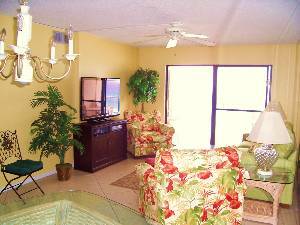 Security Deposit will be returned about 2 weeks after departure if there are no damages and no issues collecting full payment for rental. Rates may vary between seasons so email for current rates. Processing fee will apply for cancelled reservations.Personal check is acceptable for advance deposits. 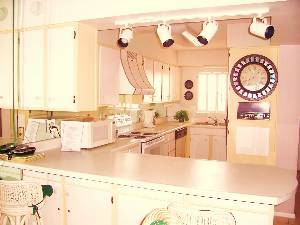 Cashiers checks and money orders required for rental fees. Deposit: Full deposits are refunded as long as there were no damages, and no issues with the collection of the full rental fee quoted. 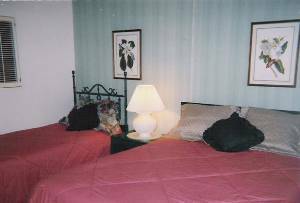 Other Fees: Security deposit amount will be mailed out to you about two weeks after departure as long as there were no damages and no issues with the rental fee payment for your stay.